Dedicated to restoring teeth through dental implant treatment each and every day. 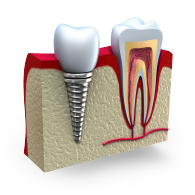 Want to get exclusive information, tips and offers on dental implant treatment? Click here to find out more. We operate implants-focused dental clinics, in both East Finchley and Swiss Cottage, London, providing quality dental implant treatment - at an affordable price. Our focus on dental implant treatment means that our expert dental team are restoring teeth through dental implant treatment on a daily basis at our London practices. It also means that through the volume of implant work we do, we can provide our patients with very competitive prices in comparison to the average UK prices for dental implant treatment. Our highly skilled and experienced team of Dental Surgeons have over 100 years' experience between them, placing over 30,000 dental implants during this time, and enjoy an above average implant success rate of over 98%. We are delighted to offer anyone interested in dental implant treatment free consultations with full diagnostic tests - not just the consultation.